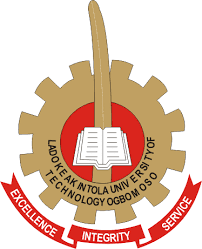 Solidarity greetings to each and every student of our great bastion of learning, Ladoke Akintola University of Technology, Ogbomoso. On behalf of the presding Students' Union executives, I write to inform the entire student body on the state of affairs so far as regards the suspected attempt to increase tuition fees. Upon viewing the memorandum proposing a hike in tuition fees, the President Laurel, the school's number One student led a team of other Students' Union executives on a consultation and investigative process to determine the veracity of the leaked memorandum. This process culminated in a closed door meeting on Monday 23rd of July 2018 of the Students' Union executives with the amiable Vice Chancellor, Prof Gbadegesin. Also in attendance at the meeting were the Registrar, the Dean of Student Affairs Prof Ademola, Prof Olabiyisi among others. When asked what the intent of the leaked memorandum was, the Vice Chancellor explained that it was one of many recourses being explored by the Governing Council to ensure the smooth running of the institution. He went on to explain that for years no substantial funding had been received from either Oyo or Osun state and the institution was being forced to survive solely on its Internally Generated Revenue (IGR). This the Vice Chancellor stated was in no way sufficient for the proper maintenance of the school. However, he assured the visiting Students' Union executives that even were the memorandum to be executed, it wouldn't be done without a formal consultation of the student leaders. In response, the Students' Union head in person of President Laurel explained in clear terms that just last year, there was an increment in tuition fee and there was an agreement with the school management, the student representatives and the parent forum that before the school would increase the tuition fee again that it must be in the next four(4) years. He further opined thataan increment in tuition fee especially in light of the poor economic state of the nation would increase the number of dropouts and decrease the number of students willing to apply for admission into the school. After intellectually engaging the school management and also making a compulsion for the management to clear the air by doing the needful to ensure the peaceful coexistence among all bodies in the institution to enable a continuous peaceful environment the Vice Chancellor thanked the Student Union body for their support so far in continuing to foster peace within and around the school environment, the vice chancellor promised that every plight, suggestion and request would be made known to the Governing Council and all necessary and adequate steps will be taken to ensure the peaceful progress of the University.